Later 19th and early 20th century settlers struggled to farm here. During the mid-20th century, houses were built on areas of the floodplain, with many soon demolished following several subsequent floods. 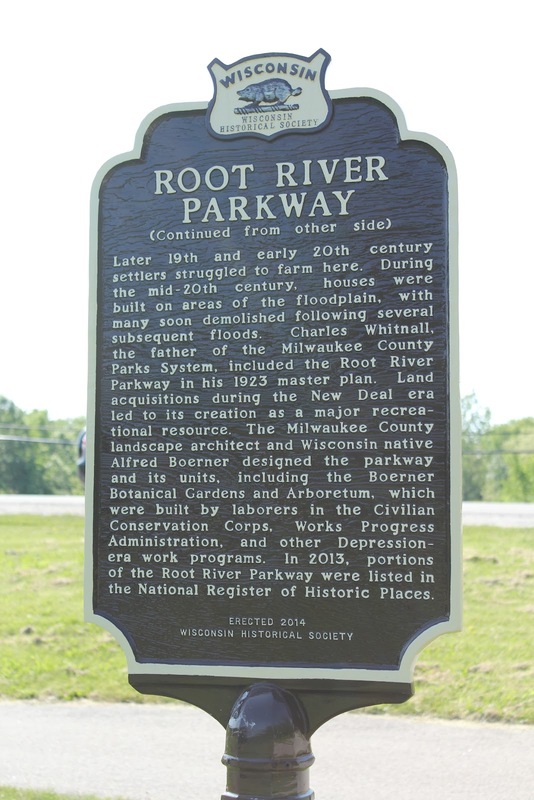 Charles Whitnall, the father of the Milwaukee County Parks System, included the Root River Parkway in his 1923 master plan. Land acquisitions during the New Deal era led to its creation as a major recreational resource. The Milwaukee County landscape architect and Wisconsin native Alfred Boerner designed the parkway and its units, including the Boerner Botanical Gardens and Arboretum, which were built by laborers in the Civilian Conservation Corps, Works Progress Administration, and other Depression-era work programs. In 2013, portions of the Root River Parkway were listed in the National Register of Historic Places.